So it is January 2013. I don’t know about you but I am having a difficult time figuring out where 2012 went. Phew that was a fast year. For me it was a good year. I got alot of quilty things completed. I designed and made a wallhanging without using a pattern. 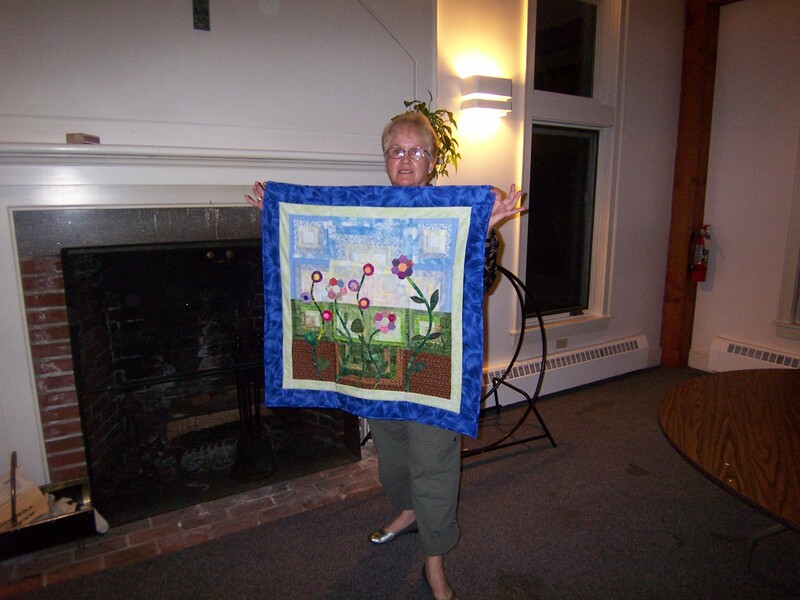 It was great fun and it was very satisfying to look at a quilt and know that I had created it start to finish. No patterns, no one elses idea just changed to suit yourself, just a quilt made from your own imagination. I think that as artists and quilters we need to trust ourselves more often. Take a risk, go with your gut and let it fly. This is a picture of the work in progress. I assembled the background by paper piecing different log cabin blocks. The blocks were 6 1/2″ with a 6″ finished size. My vision was to have it look like a landscape. The top is the sky and the bottom is the ground. I am very happy with the way it turned out. The stems are biased cut tubes that I first stitched down on the machine then flipped and hand appliqued down. Some of the flowers are English Paper Pieced grandmothers flowers – they were hand pieced and the hand appliqued onto the top. The rest of the flowers are yo-yo’s, which are then hand appliqued to the top. The leaves are also hand appliqued to the top. I really love doing hand work, so this was a lot of fun to work on. I added the borders – I loved this blue for the border. It just seems to tie the quilt together. The back of the quilt was also pieced. I had gotten all of the members of our quilt group to sign peices of fabric and then I peiced them all together to assemble the back. This was a gift for the out going President of our Quilt Guild. 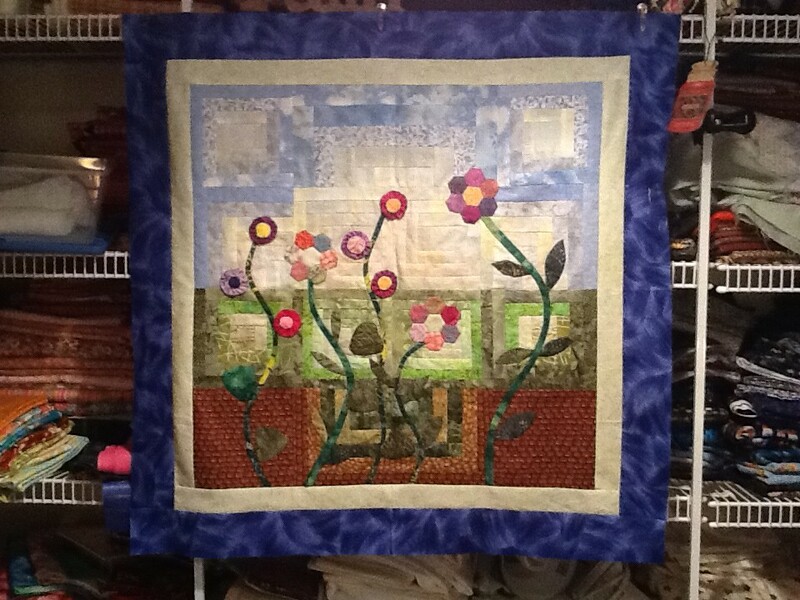 She is a gardener, she had just finished her quilt studio and I am proud to say that this hangs on the wall of her studio. So go for it – start the new year with a project that you have created yourself. If you are worried that you will not like it start with a small piece. Make a pillow or a table runner. Pull out the fabrics and go for it. You will be amazed what you can do. The most important thing is to enjoy yourself. Don’t be your own worst critic – give yourself a break and get rid of the self doubt. Have a wonderful January day. The sun is shining here and it is really rather warm. The perfect day to imagine your garden. 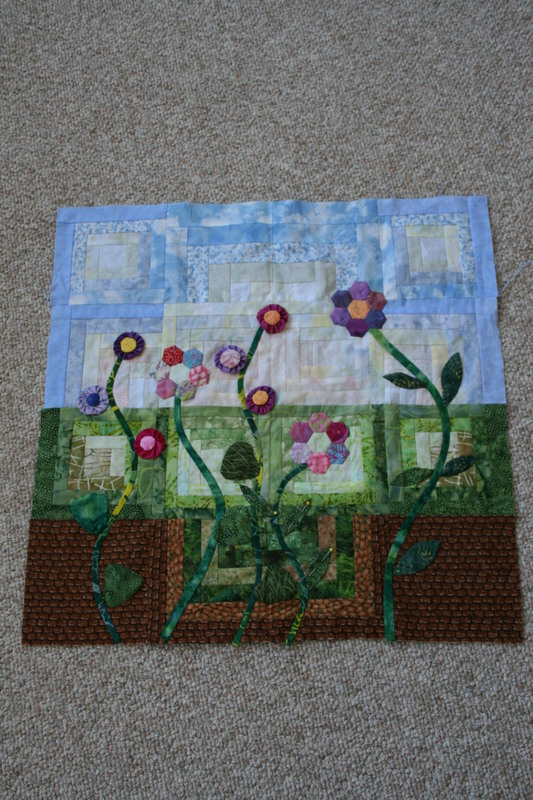 happy New Year Faith….Your quilt pics are awesome keep them coming -and pics of what inspires you !